Living in a small town means that the power goes out frequently in inclement weather and that the larger surrounding towns are a higher priority when it comes to repairs. When Irene hit, we were without power for 3 days. Our 10-year-old refrigerator died and we had to toss most of our food. $850 later we have a new fridge, but now we haven’t had power since early Sunday morning because of this freak October snowstorm. I’ve been shuttling back and forth to my in-laws to shower and access the internet, and just put all of the food from our freezer into their basement deep freeze. Some of the power restoration times I found online stretch to Thursday. 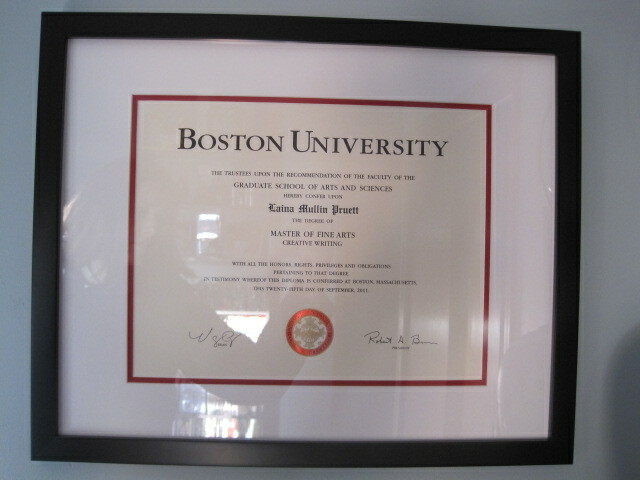 I got my diploma from BU in the mail a few weeks ago, and picked it up yesterday from the frame store. 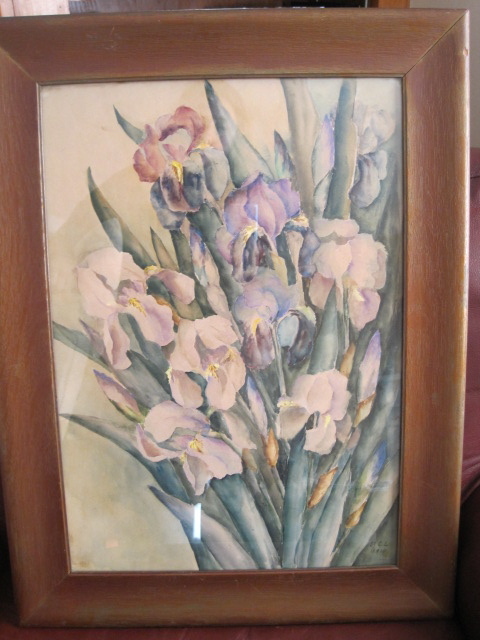 To save some money I chose a ready-made frame but had the mat custom cut. I haven’t had a lot of time to write lately because of work obligations and my preoccupation with the great purge of 2011. 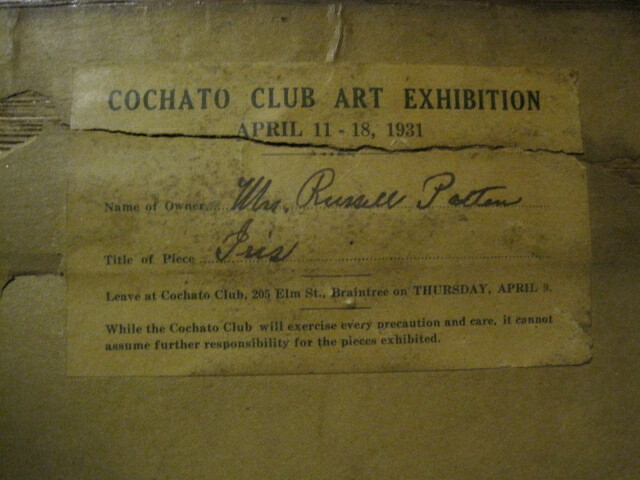 (I’ve been spending many of my nights and weekends culling my possessions; it’s amazing the amount of memorabilia and junk one person can accumulate in thirty years.) I am running a NaNoWriMo (National Novel Writing Month) program with my students, and think I’ll participate this year. It will be good motivation to finish banging out a first draft of my novel. 50,000 words in a month is the goal. If nothing else, it will force me to prioritize writing time.